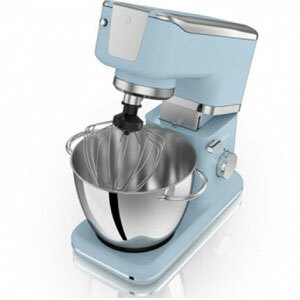 Does The Kenwood Patissier Stand Mixer Do Enough To Meet Expectations Of Brand-Loyal Users? Kenwood food mixers have long been one of the more sought after models for keen cooks and bakers, and the Kenwood Patissier Stand Mixer aims to take this further as it focuses in on the baking side. It is a pretty unassuming looking model at face value – apart from the vast range of colour choices. There is the adjustable head that holds the attachments, a strong metal body and a large 4l stainless steel bowl. The aim here is to provide an efficient aid for baking tasks in an easy-to-use model. Have Kenwood succeeded once again, or are there flaws in the design? 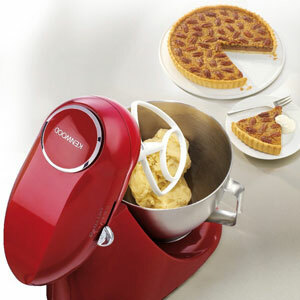 Is The SWAN Vintage Stand Mixer Tough Enough For Many Batches Of Cakes And Dough? The SWAN Vintage Stand Mixer is a stylish machine with a small profile, brushed stainless steel 4.5 litre bowl and the choice of a black, green, cream, red and blue design in soft tones. 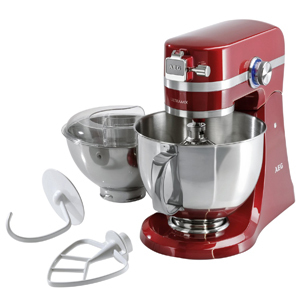 It comes with accessories including the teflon aluminum dough hook and stainless steel whisk and also has a helpful rotary switch control. Does this do enough for desirable cake making? Is There More To The AEG KM4000 UltraMix Kitchen Machine Than A Second Bowl And Good Looks? Power, reliability and versatility are important traits in a desirable food mixer and that is precisely what is promised with the AEG KM4000 UltraMix Kitchen Machine. This food mixer comes with a series of helpful attachments and two different sized bowls for different tasks, a powerful action and tilt head system and a die-cast solid metal body. According to the manufacturers, this machine will “help you master all kinds of culinary challenges”. Is this the experience of users? Can The Bosch MaxxiMUM Kitchen Machine Really Offer 120 Processes With Ease? 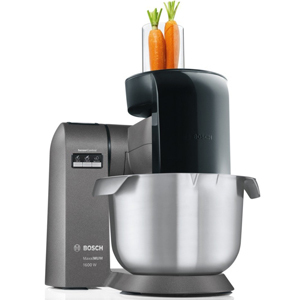 Kitchen machines come in all different shapes and sizes; some are compact, basic options for the occasional baker and others, like the Bosch MaxxiMUM Kitchen Machine are much bigger, more powerful beasts that promise great processes for great produce. This food mixer has a range of features such as the 1600w motor and easy-lift arm, is able to hold 3.5 kg of cake mix for large quantities, comes with a range of attachments for diversification and also has some interesting technological aspects to ensure the best result possible with the least effort.